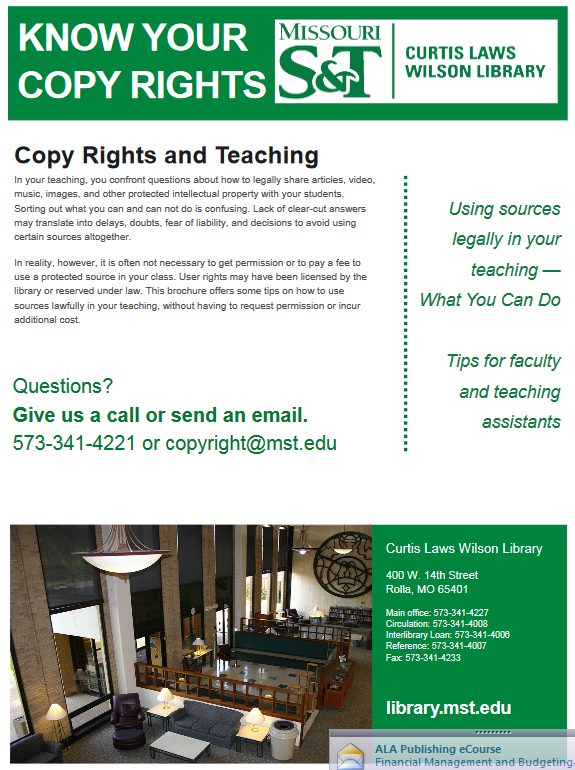 This section examines the application of copyright law in both the face-to face and online classroom and includes discussions of fair use, creating instructional materials,and the use of film and video in a classroom. In addition, it includes an acknowledgement about MOOC production. Uploading materials to Blackboard, Canvas or another server. Clipping and copying materials into any teaching tool. Posting materials for distance learning. Developing databases of copyrighted works for research. Sharing articles and other materials with colleagues. Placing copies on library reserves. A fair use analysis is necessary to determine if your use is a fair one. A full discussion of the four factors under fair use and the use of the Fair Use Checklist is found under the Fair Use Tab of this site. 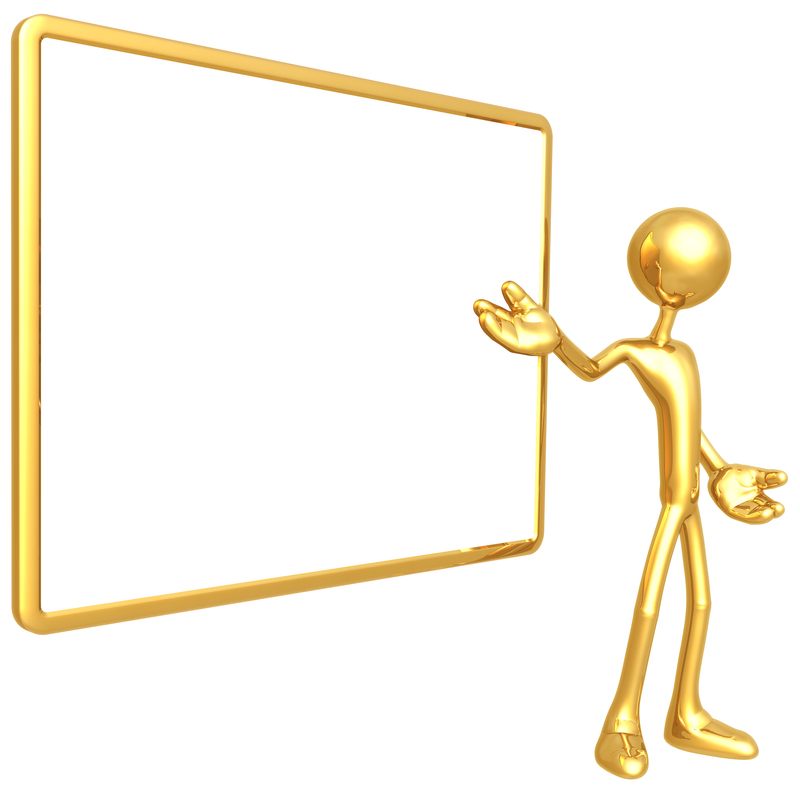 Massive Open Online Courses (MOOCs) require careful attention. The reproduction and distribution of material within the global and open nature of a MOOC poses unique copyright challenges. For this reason, faculty are encouraged strongly to seek out the guidance and advice of the Library and Educational Technology on this campus. The TEACH Act, section 110(2) of the U.S. CopyrightAct is a copyright exemption that covers teaching conducted through digital transmission; it addresses performance and display of copyrighted materials used in teaching. Even if your class has on ground, face to face sessions, anything you transmit through a course delivery system, such as Blackboard or Canvas, would fall under the TEACH Act, unless you choose to use Fair Use as an alternative exemption. The TEACH Act is not a wild card exemption to do anything you want; it comes with limitations. Teachers have more privileges in face-to-face teaching situations for the use of copyrighted materials than in online instruction. The TEACH Act attempts to bring the two environments closer together, but the playing fields are still not level. The TEACH Act does not cover the use of textual materials such as readings. Works "produced or marketed primarily for performance or display as part of mediated instructional activities transmitted via digital networks" should not be copied, but purchased and used as intended by the publisher. The "transmission is made solely for and limited to students officially enrolled in the course"
A digital copy may be made from an analog copy when no digital version is available or when the digital version is technologically protected. The institution "institutes policies regarding copyright, provides informational materials to faculty, students, and relevant staff members that accurately describe, and promote compliance with, the laws of the United States relating to copyright, and provides notice to students that materials used in connection with the course may be subject to copyright protection." The institution "does not engage in conduct that could reasonably be expected to interfere with technological measures used by copyright owners to prevent such retention or unauthorized further dissemination." 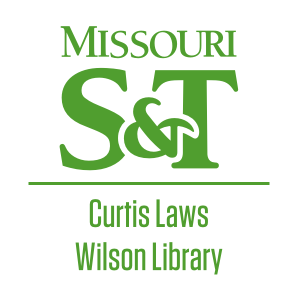 See the University of Missouri System Collected Rules and Regulations 100.010. Using a course website or a university-supported Course Management System (CMS), such as Blackboard or Canvas, to make instructional materials available to students can raise many copyright issues. These systems can be used to provide a wide range of materials, from articles and book chapters to sound recordings and visual images. However, such materials may be posted and shared only in a manner consistent with copyright law, which gives legal protection to nearly all text, images, audiovisual recordings, and other materials, whether available on the Internet or in any other medium. Instructional materials may be posted to a CMS or a course website under any of the following circumstances, as detailed more fully on this page. The use is within fair use under the law or another statutory exception. These rules are specified in Section 110(1) of the U.S. Copyright Act, but a separate statute provides for performing a work through any “transmission” to students, such as through distance education or from a university server. That statute, known as the “TEACH Act” and codified at Section 110(2) of the U.S. Copyright Act, may be used only by complying with numerous conditions and requirements. Consult the Library for additional information. You may secure permission directly from the rightsholder. For more information about permissions, please visit the Permissions Tab in this guide. For more information about copyright duration and the public domain, please see the Public Domain Tab. Link directly to the material. Linking does not violate copyright because it does not involve the creation of additional copies. See Using Material in Library Databases for information on which databases allow linking, e-reserves or coursepacks. Use citations to point students to materials. Place an entire book (not a photocopy) on library course reserve. The library will also place on course reserve a book you own. See course reserves for additional information. Use or play CDs, DVDs, video tape, our audio tape in your class, if it is a legally obtained copy (such as a library-owned copy) -- and the use is for educational purposes. See Media in the Classroom for additional information. For an in-person class, you can show clips or an entire work. For an online class, only clips are allowed. Use materials that are not protected by copyright such as: works published by the federal government and works in the public domain. Use materials that are from open archives or open access journals or available under a Creative Commons or similar license. You cannot copy an entire copyrighted book, CD, DVD, audio tape or video tape. You cannot copy any portion of an encrypted DVD (almost all commercially produced DVDs are encrypted). Copies of copyrighted or licensed materials cannot be publicly accessible online -- they must be placed behind a password protected system such as Blackboard or Canvas. Students cannot retain access to online copyrighted materials after the class is over. For library-licensed materials, copies cannot be sold to students for more than the price of making the copy.